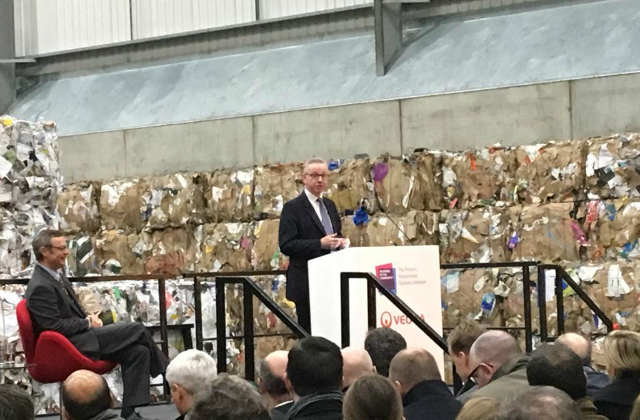 HRH Prince Charles and Environment Secretary Michael Gove addressed the 200 leaders from business, government, and academia who came together at today’s Waste to Wealth summit, promoting the value of working collectively to double the nation’s resource productivity and eliminate avoidable waste by 2030. The summit was trailed this morning on BBC Online, BBC Radio 4’s Today Programme and BBC Breakfast. It was held at Veolia’s recycling centre in London, and convened by Business in the Community – HRH Prince Charles’ Responsible Business Network.